Your favourite/least favourite SRK movies from this decade? It's been a divisive decade for SRK but let's not talk about that here. Which SRK movies have you liked/disliked in the past 9 years? For me MNIK, Don 2, Chennai Express, Fan and Raees (his best movie this decade) were all pretty great. Dear Zindagi was also good although he wasn't the lead here. Could you list all the films? I have not been able to see Zero yet, so none of my comments are regarding ZERO. Going by films listed in your post. For me, I loved Don2 and Dear Zindagi. DZ was such an amazing performance, a film that justified his presence. 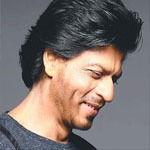 And I love DON and DON2, no one plays a suave criminal like SRK. Rest he gave great performances in so many of them but the films on the whole were sub-par, never felt like going back and watching again. The films I hated - JTHJ and JHMS. I don't like to use the word hate, but that is the best word to describe what I feel about these two films. Even stuff like Trimutri, ODYHI, EBDM did not irritate me as much. Fan, Raees and Dear Zindagi. Don 2 was good but i prefer Don. Chennai was also good fun. I agree, Don 2 was good but the story wasn't nearly as exciting as the first one (which I guess is more memorable because it's also a remake). I hope we get a Don 3 but without Priyanka's character, it won't be as impactful (and I'm not even a fan of her). Just rewatched Fan yesterday and again amazed at SRK's performance as Gaurav..really should have gotten more appreciation for it (not even one award..wtf). And overall the movie is very unique & deserved to be a success. I just noticed how even a dumb fun type of masala movie like CE has a better more relatable love story than JTHJ, JHMS and Zero (still obviously not that good compared to early SRK romance movies)..SRK didn't want to let go of his romantic hero image which is understandable but at least do it right.